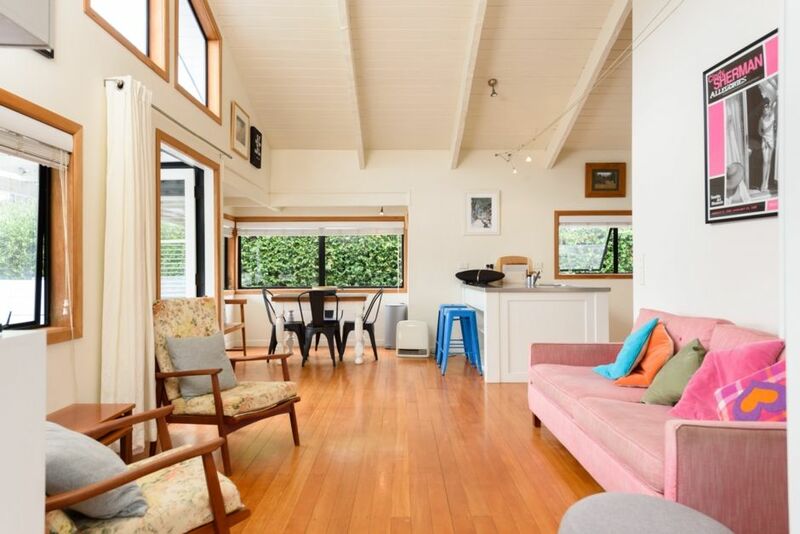 Rabbit cottage is located in one of the most sought after streets in Mt Maunganui - close to downtown the Mount and the beach yet on a peaceful street. This character cottage is cosy and cute yet offers plenty of room for 2 families. The beach is just a stones throw away across the road where you can also send the kids to the playground. The cottage offers 4 bedrooms and 2 bathrooms. The dining/ kitchen and lounge are all open plan and open up to a large elevated deck perfect for enjoying the afternoon sun and a BBQ at the end of the day. Fully fenced, the kids will enjoy the large front yard to run around on or send them across the road to the playground. You will also appreciate there is plenty of parking for cars and boats. A short stroll away in one direction will land you at the beach or in the other downtown Mt Maunganui or Pilot Bay - It's all there! Please give details when inquiring as to whether you are a family group or a group of friends and what the ages of your group are. Downtown Mt Maunganui and only one street away from the beach. This character cottage has plenty of rooms for 2 families and a large elevated deck for entertaining and is across the road from a playground. The house was beautiful, well equipped and in a fabulous location. It was, however, FREEZING cold when we arrived, as the hosts had left a window open in every room. It took several hours to heat the house with the few heaters provided. But once it was heated, it was perfectly comfortable for the rest of our stay. Beautiful house. Had everything we needed (although we took an extra heater because I always get chilli. This was useful in one of the bedrooms without a heater).